Hanoi (VNA) – Hanoi has selected two promotional clips to be broadcast on the American Cable News Network (CNN) in 2017, according to Decision No. 1415/QD-UBND recently signed by Vice Chairman of the municipal People’s Committee Ngo Van Quy. 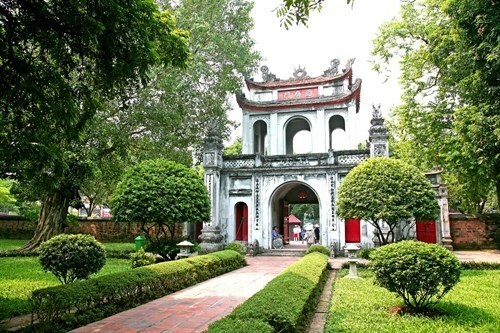 The 30-second clips titled “Gioi thieu Ha Noi – Trai tim Vietnam”(Hanoi – the heart of Vietnam), and “Ha Noi – Cai noi di san” (Hanoi – the cradle of heritage) feature the capital’s scenery and heritage. Hanoi authorities and CNN reached a communication cooperation deal for 2017 and 2018, with the US channel agreeing to help Hanoi produce 30-second promotional videos, 3 and 5 minutes reports and a 30-minute programme. The promotion campaign is expected to introduce Hanoi to millions of people across the globe via CNN.